2. Looking for a weekend away in April? Hazelcombe Farm– workshops on scything, blacksmithing and chicken processing just to name a few. 4. Village Milk– vending machines in NZ selling real milk. Are there any green links you would like to link? 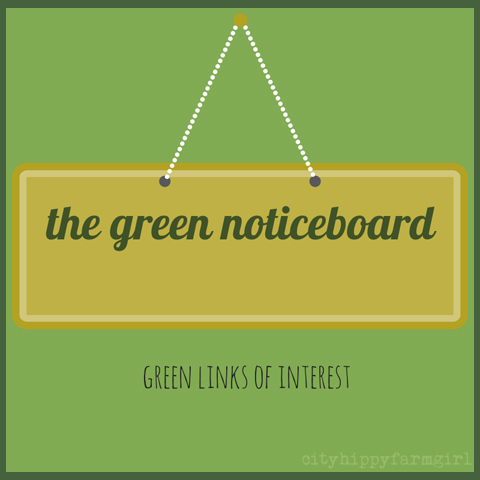 This entry was posted in Going Green and tagged 202020 vision, a year of ethical fashion, ethical jobs, hazelcombe farm, the green noticeboard, TPP, village milk by cityhippyfarmgirl. Bookmark the permalink. Hazelcombe Farm sounds amazing, that would make such a fantastic family holiday. If only they were a little bit closer, I’d be there in a flash! I looove the real milk idea, shame it’s illegal here. 😦 It’s so hard to get real milk . I buy Schultz’s milk which I highly recommend to any Victorians. About as close as you can get to au naturale milk ’round these parts. Great links, really useful when trying to live in a very non-green society. I agree with Lily, I’d love to be able to get to Hazelcombe farm. Maybe one day. And how awesome is Village milk?!! The weekend at Hazelcombe Farm sounds amazing, absolutely amazing. I think it might be Rose…maybe once a month? I would love a ‘real milk’ vending machine nearby. Thanks for putting the TTP on my radar. I knew things were getting worse when I saw the new Kmart advertising those 10 dollar kettles – so you can just throw it in the bin and buy a new one. Zena I want to jump up and down! Really? a $10 kettle?